Elegantly simple, the Jane collection embodies an urban chic modern collection of hoops and bangles handcrafted in pure 24-karat gold and oxidized gilver - a unique alloy combining oxidized silver & 24K gold. 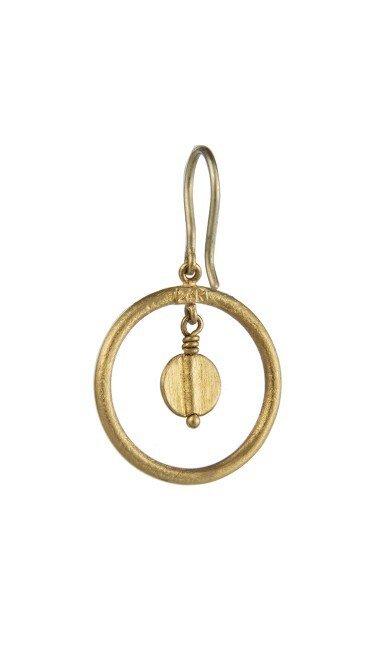 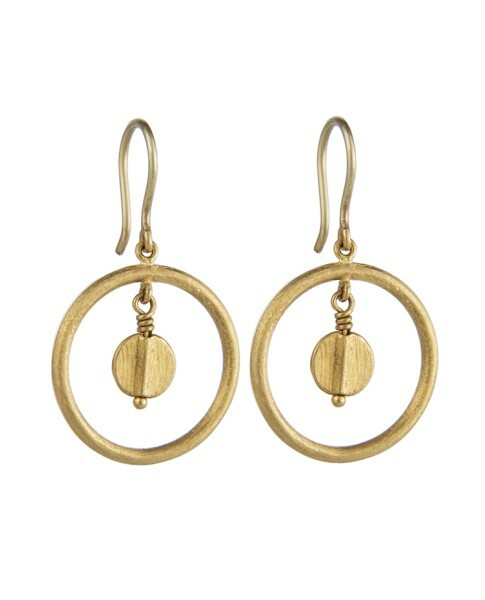 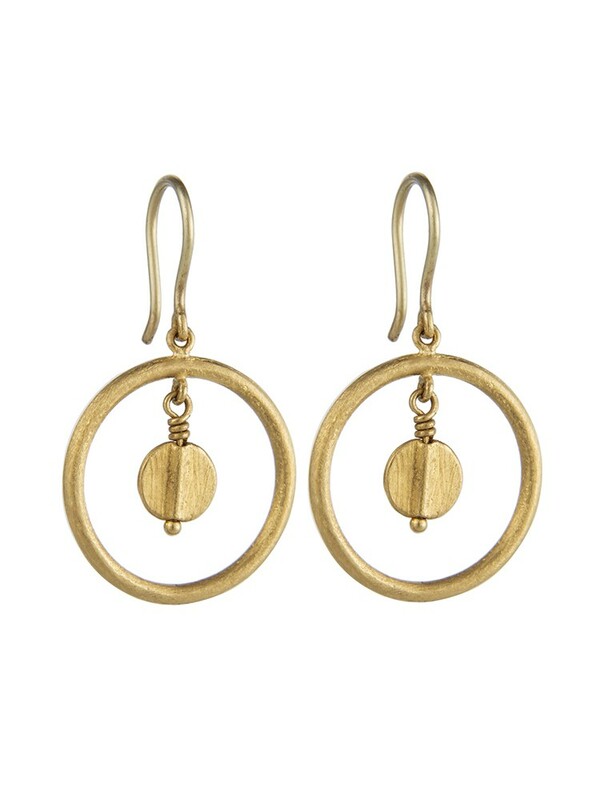 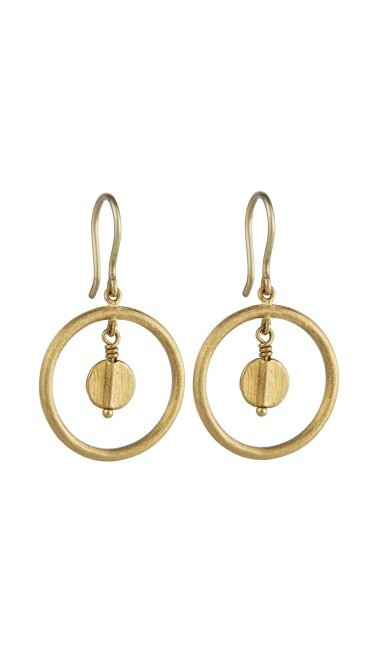 These ultra-modern, bohemian chic earrings have a dramatic look with textured metallic disks dangling from 24-karat gold concentric circles, perfect for wearing day or night. 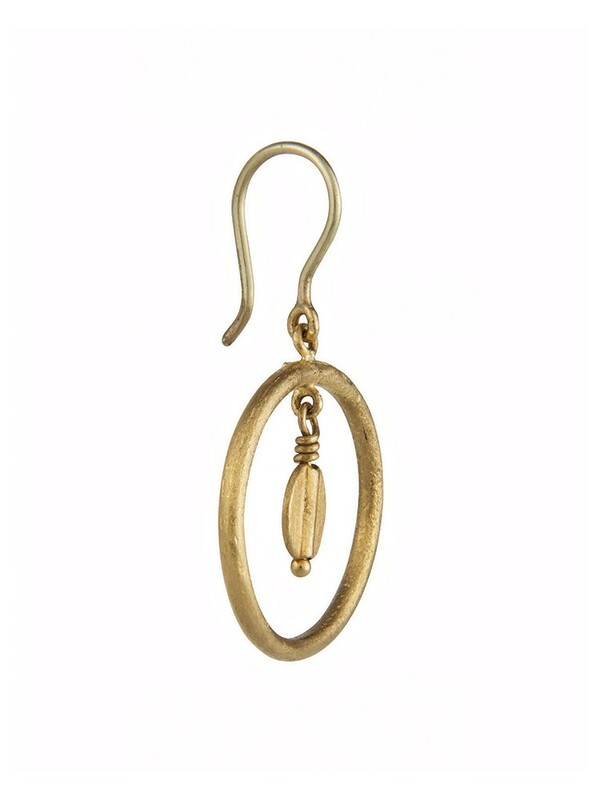 Size and Fit: 1.47" X 0.75". 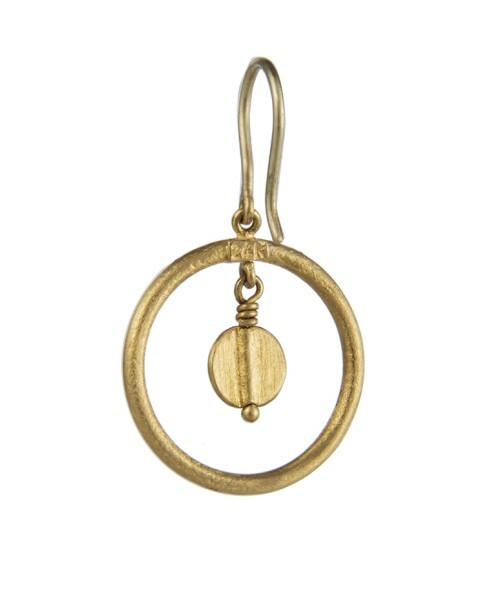 French Wire Backs.